CEI’s Battered Business Bureau: The Week in Regulation | Inertia Wins! Despite another 47 proposed regulations and 80 final regulations last week, 2014 remains on pace to have the smallest number of new regulations of any year in either of the last two administrations. Last week, 80 new final regulations were published in the Federal Register. There were 98 new final rules the previous week. That’s the equivalent of a new regulation every two hours and 6 minutes. So far in 2014, 2,164 final regulations have been published in the Federal Register. At that pace, there will be a total of 3,535 new regulations this year. This would be the lowest total in decades; this will likely change as the year goes on. Last week, 1,576 new pages were added to the Federal Register. Currently at 46,563 pages, the 2014 Federal Register is on pace for 76,084 pages. This would be the lowest total since 2009. Rules are called “economically significant” if they have costs of $100 million or more in a given year. 25 such rules have been published so far this year, three of them in the past week. The total estimated compliance costs of 2014’s economically significant regulations currently ranges from $7.34 billion to $10.57 billion. They also affect several billion dollars of government spending. 177 final rules meeting the broader definition of “significant” have been published so far this year. So far in 2014, 401 new rules affect small businesses; 60 of them are classified as significant. Last week’s trio of economically significant rules all come from the Centers for Medicare and Medicaid Services. They will increase government spending by $750 million, $120 million, and $180 million, respectively, for a total of $1.05 billion. Since the rules are mum on paperwork and other compliance costs, I am counting them as zero-cost in our running compliance cost tally. The federal government is launching a Cotton Transition Assistance Program. Here’s a press release, and here’s a Federal Register rule outlining the program’s policies. The EPA issued a regulation for how often diesel-fueled vehicles should be maintained. The EPA also revised its definition of a “volatile organic compound” inside the commonwealth of Virginia. 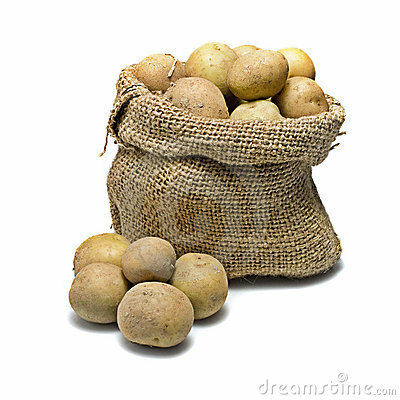 If you grow Irish potatoes in Oregon, regulations specify which types of containers you may use.